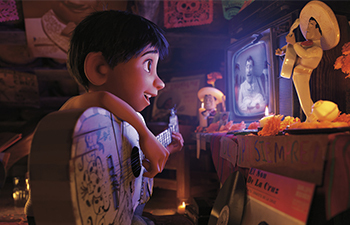 Fox Theatre Film Series Presentation: Pixar's ravishing musical take on the Day of the Dead, with Michael Giacchino's beautiful score performed LIVE! Fox Theatre Film Series Presentation: Released the same year (1929) as the Fox opened, this landmark work of the Silent Era features an unforgettable Louise Brooks; Russ Peck supplies the score on our mighty Fox Theater Pipe Organ! Fox Theatre Film Series Presentation: "A Spoonful of Sugar" makes the medicine go down! The Sherman Bros. Oscar®-winning score is performed LIVE by the San Diego Symphony. Fox Theatre Film Series Presentation: Get ready to embark on the penultimate leg of Harry’s journey! Harry, Ron and Hermione face their latest set of challenges and foes both new and old, projected on a giant screen at Copley Symphony Hall and accompanied LIVE by the San Diego Symphony! Main Upclose ADA: $75.00 Sold Out! Grand Tier Center: $204.00 Sold Out! Grand Tier ADA: $159.00 Only 2 remaining!